1. 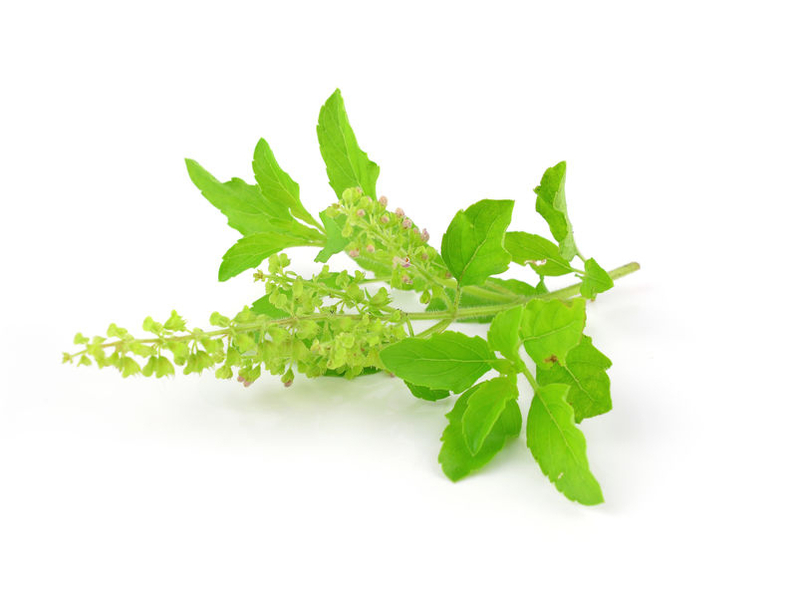 Decongestant action: A study in animals have shown that extracts of Tulsi or holy basil may help keep the bronchial airway passages uncongested and clear. 2. Reduces phlegm: Tulsi, the ancient herb, has positive actions on the respiratory system. According to a study, tulsi or holy basil helps to effectively liquefy the phlegm. It may also help reduce cough caused due to allergic bronchitis, asthma, and eosinophilic lung disease. Almost all parts of Tulsi — seeds, leaves, and roots — have medicinal value and have been used both internally and externally. 3. Soothes throat: Since ancient times Tulsi has been used to treat sore throat, cough and cold. According to a study, boiled water with tulsi leaves imparted a soothing effect to patients with a sore throat. Tulsi leaves act as an adaptogen. An adaptogen is a substance that helps counteract the effects of stress in the body. Tulsi helps the body and mind to encounter different physical, chemical emotional, and infectious stress. 4. Treats minor throat infections: Inhaling the steam of Tulsi leaves and hot water can help relieve minor throat infections in children. A 2014 study showed that inhaling the steam of Tulsi leaves with hot water is more effective than inhaling the steam of just hot water. Due to its anti-bacterial and anti-inflammatory properties, Tulsi has been used as part of home remedies for cough and common cold for centuries. 5. Helps to improve immunity: For better immunity, consumption of tulsi leaves on an empty stomach is good. 6. Treats fever: The juice extracted from Tulsi leaves isusually effective in bringing down high fever. Pankajakasthuri’s cough syrup with Tulsi & Honey are a blend of 100% herbal ingredients. These Ayurvedic cough syrups are effective decongestant and expectorant which reduce phlegm.